What follows is intended to be the basis of a regular meditation in which you make an imaginary journey to the Temple of Sethos at Abydos and makes an initial offering in the central shrine of Amun-Ra. You could also identify with King Sety. Sety is in this instance the representative of any human operator in the temple. Sety’s mummy and other artefacts are some of the finest surviving and beautiful things. Sety’s name means “man of Seth”, ie he takes his name from the god Set, who was worshipped in Sety’s native province. He did not alter this when he moved to the holy city of Abydos. There are various ways to come to and enter the temple. 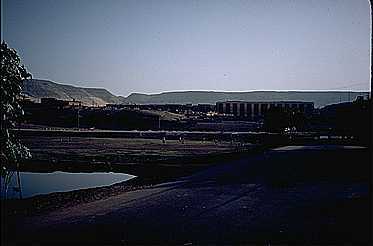 The first picture shows a general view of the site from the north-east, the long eastern wall of the temple is in the middle distance (sorry its a bit shadowy) and behind that are surrounding hills and the desert. 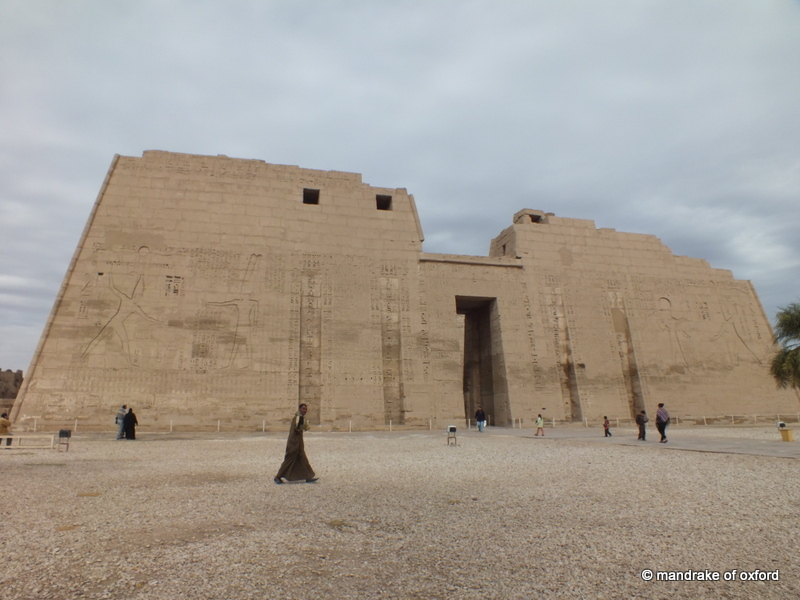 In the past most pilgrims travel to Abydos by boat perhaps from Thebes or Dendera. 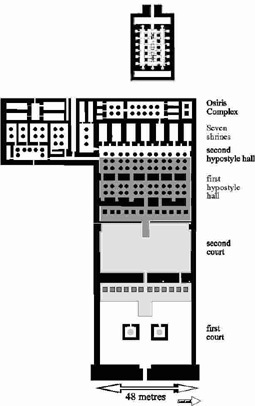 Abydos is not directly on the Nile but was connected to it by a side channel of the Nile. This canal was called Nif-Wer and there was a ferry run by the temple sailing from al-Balyana on the Nile to Arabat-el-Madfouneh (Buried Arabia) just outside the temple. with other pilgrims, can disembark. Sethos was instructed by an oracle to build on this unpromising site. The site was artificially levelled and rise in four ‘steps’ from the east. 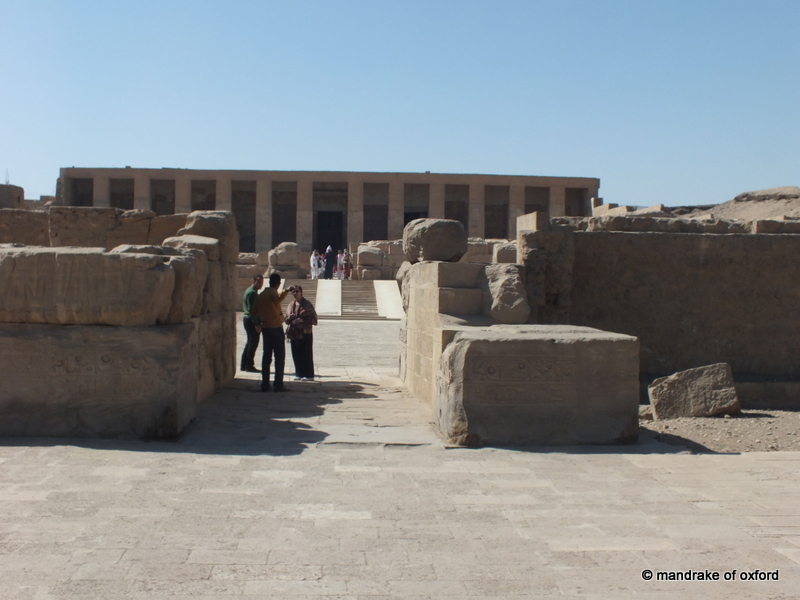 If you go through the temenos and towards the eastern front end of the temple proper, the stone built pylons forming a massive ornamental gateway in the Egyptian temple style. The wooden doors of the temple were normally shut. These are ceremonial doors, and are only used on special festival occasions, when the images of the gods inside are brought out through them and paraded on special boats.